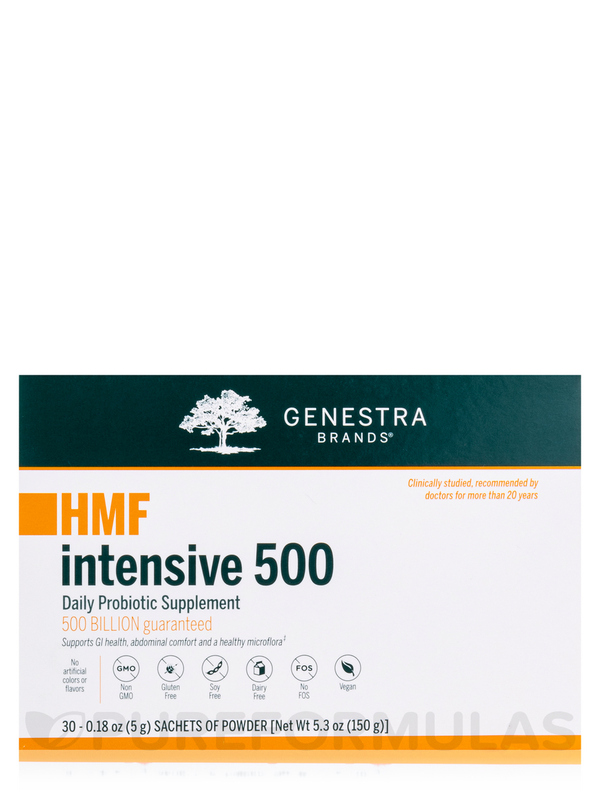 HMF Intensive 500 is the most concentrated probiotic formula yet‚ providing 500 billion CFU daily from a combination of five human-sourced‚ research-driven strains. 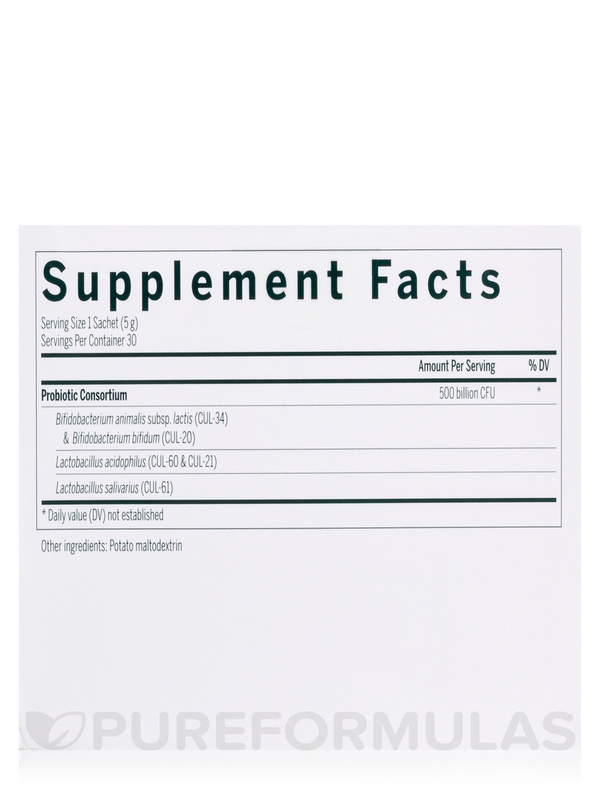 Included in this blend are three strains of Lactobacilli and two strains of Bifidobacteria to ensure colonization in both the small and large intestines. 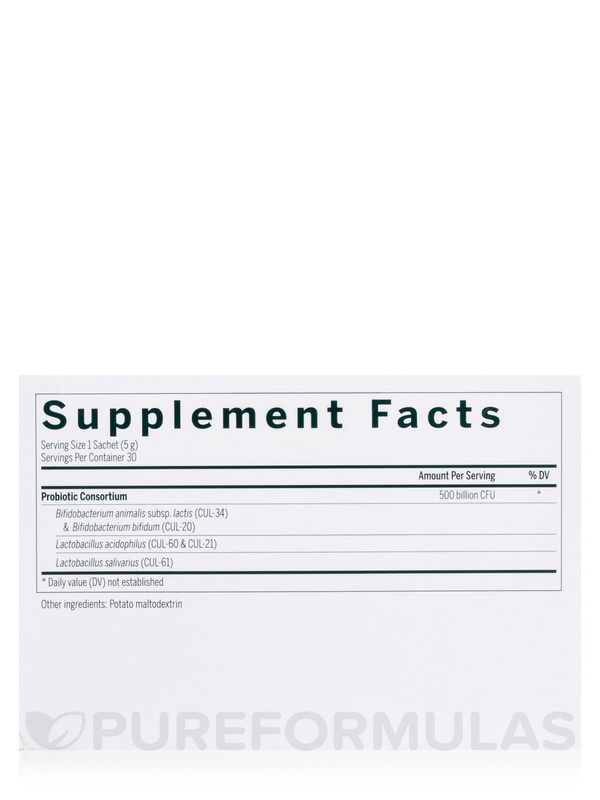 These proprietary strains were selected based on their high quality‚ viability‚ strong epithelial adherence and naturally high tolerance to stomach acid. 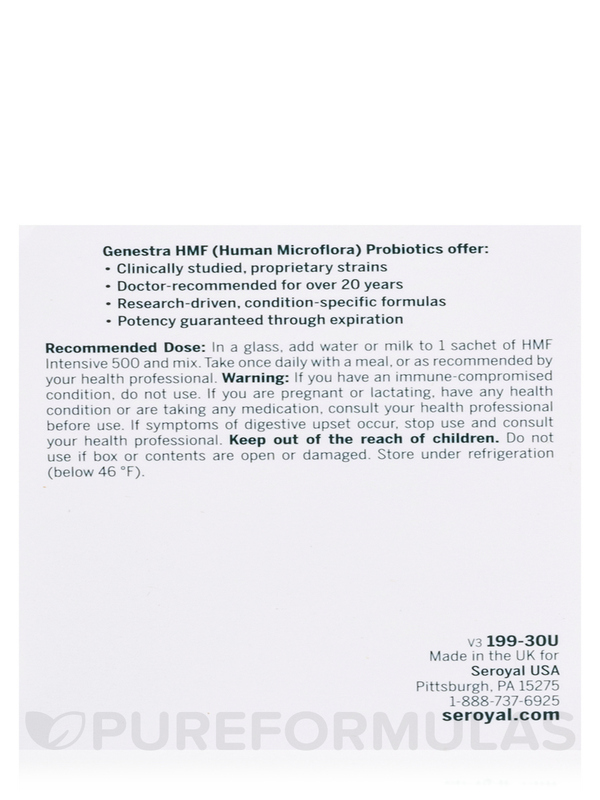 HMF probiotics have been evaluated for their effectiveness in clinical trials over the past 15 years and are some of the most studied probiotic cultures in the world. 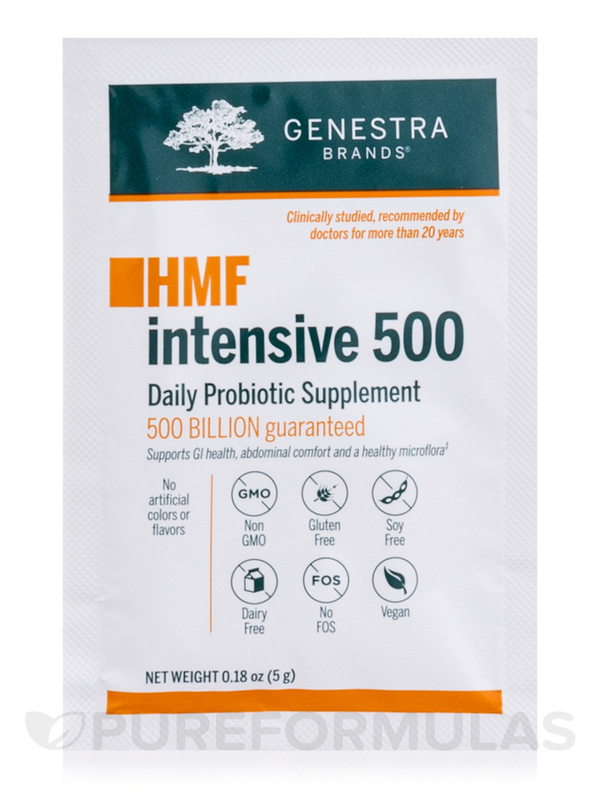 Research has reported that strains present in HMF Intensive 500 contribute to a favorable gut flora balance‚ support gastrointestinal comfort and maintain immune health (when combined with vitamin C). 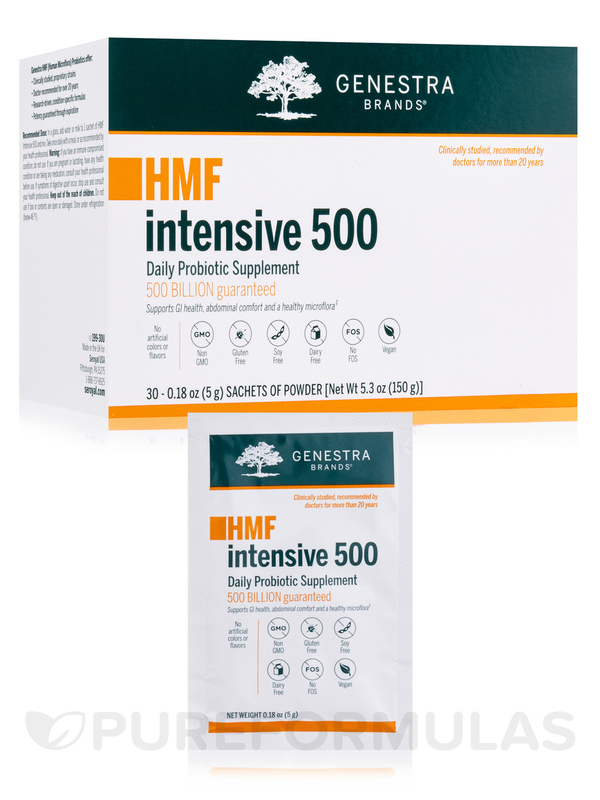 Provided in a convenient‚ once-daily powder format‚ HMF Intensive 500 is an easy way to support daily gastrointestinal health. Guaranteed to contain no added wheat‚ gluten‚ soy‚ artificial coloring or flavoring‚ antimicrobial preservatives‚ dairy or animal products. Gluten-Free / Dairy-Free / FOS-Free / Vegan / Vegetarian. 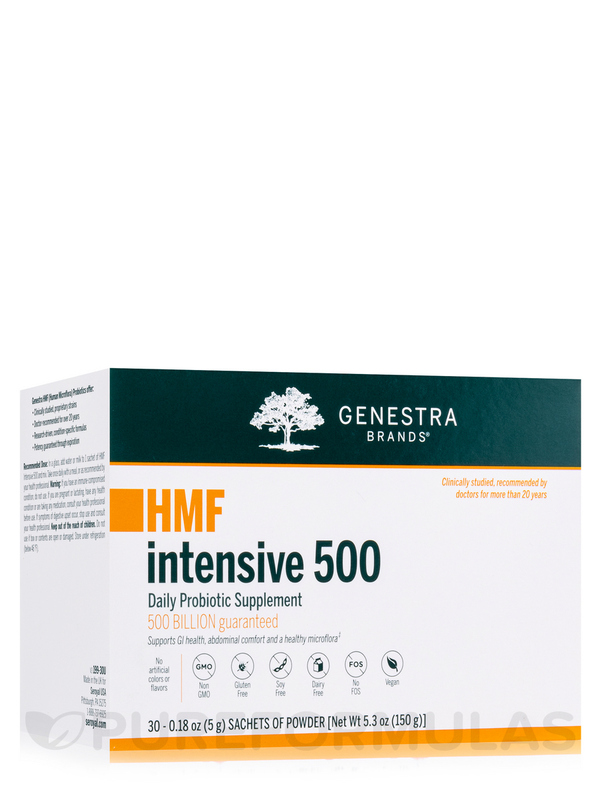 In a glass‚ add water or milk to one sachet of HMF Intensive 500 and mix. Take once daily with meals‚ or as recommended by your healthcare practitioner. 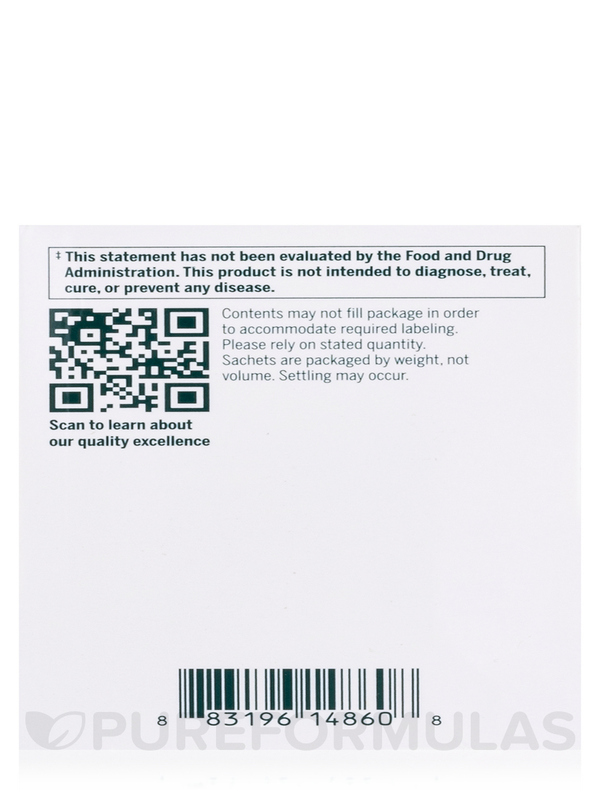 Do not use if you have an immune-compromised condition. Consult your healthcare practitioner prior to use if you are pregnant‚ breastfeeding‚ taking any medication‚ or have any health condition. If symptoms of digestive upset occur‚ discontinue use and consult your healthcare practitioner. 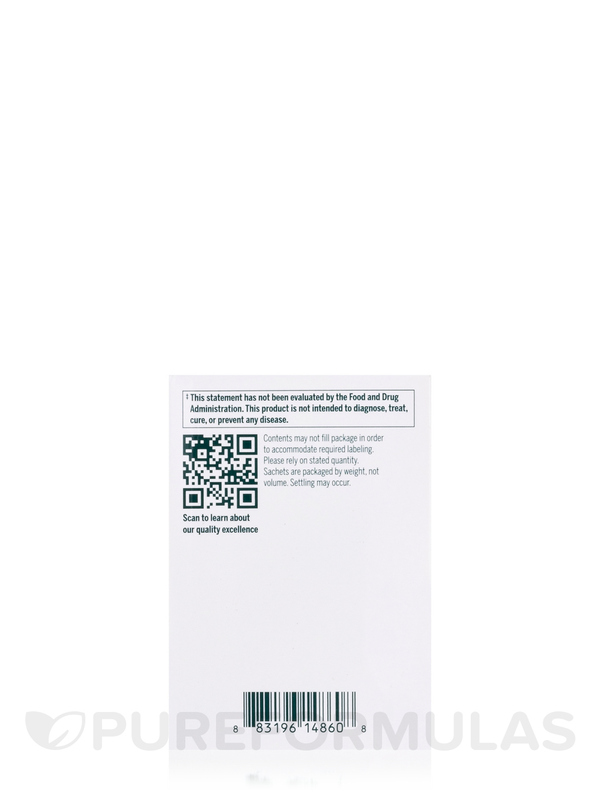 Safety sealed for your protection and for product freshness. 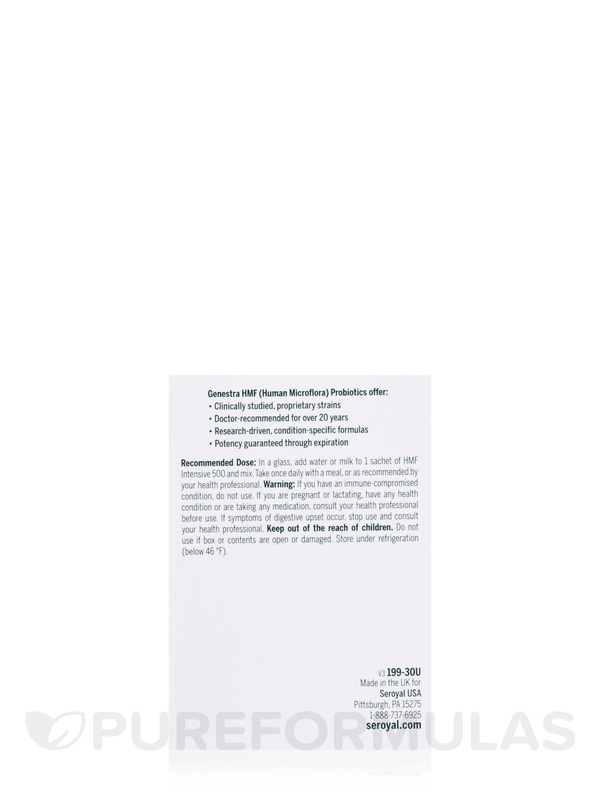 Do not use if the sachet has been tampered with.